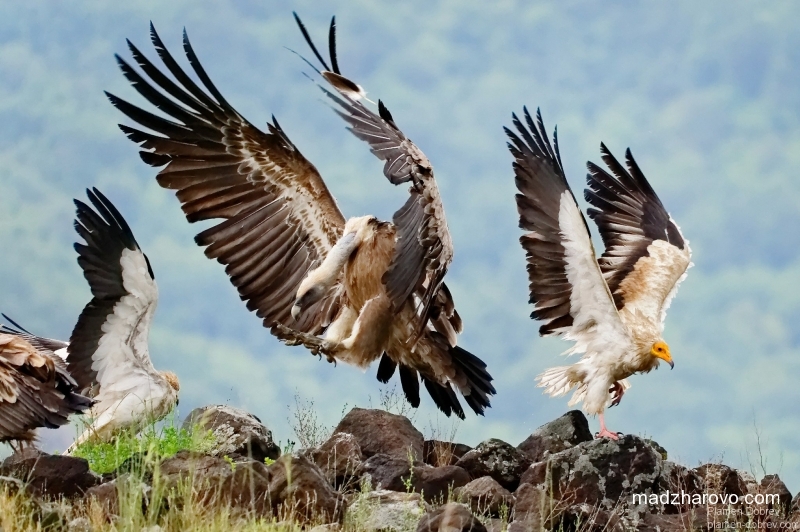 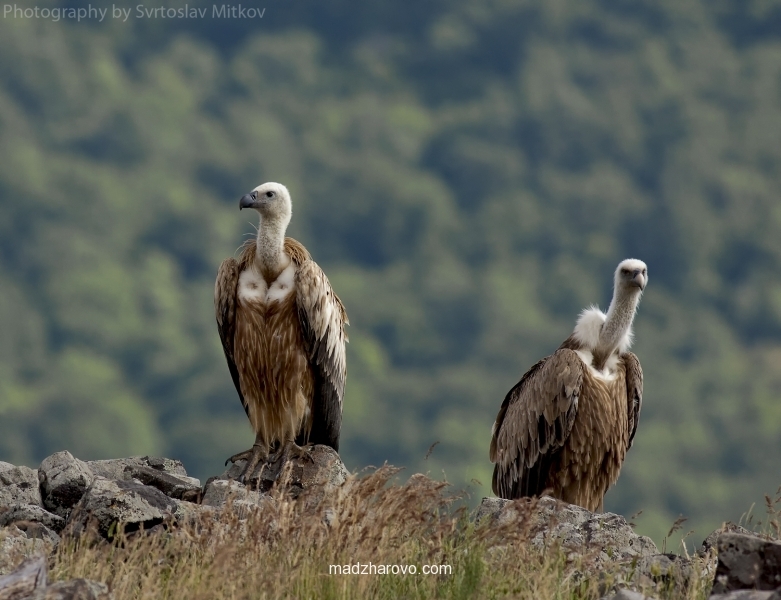 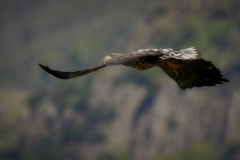 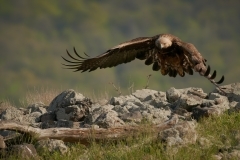 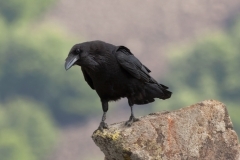 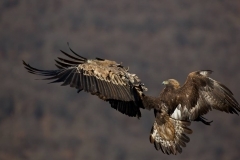 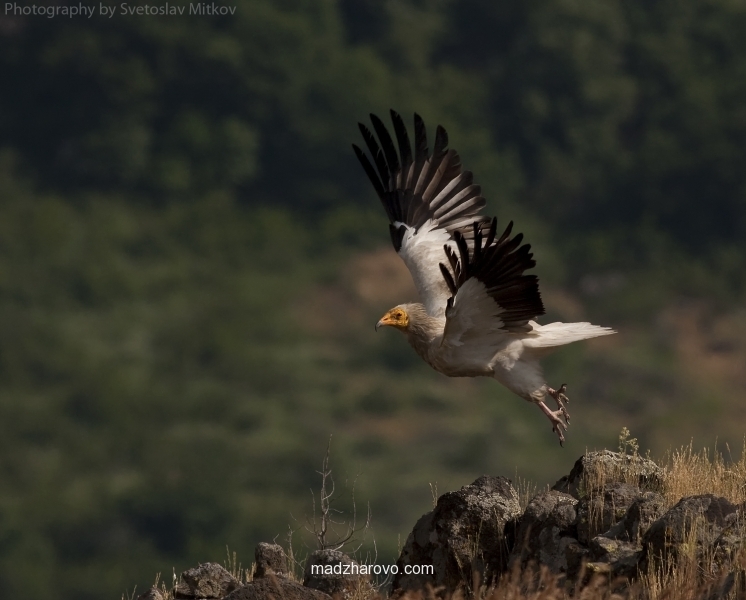 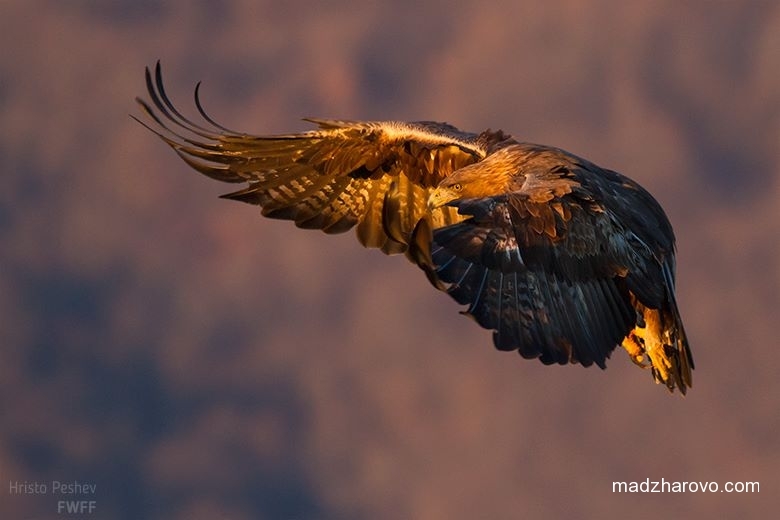 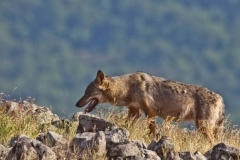 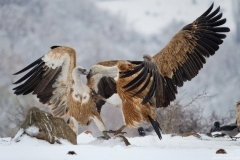 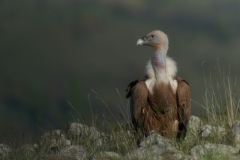 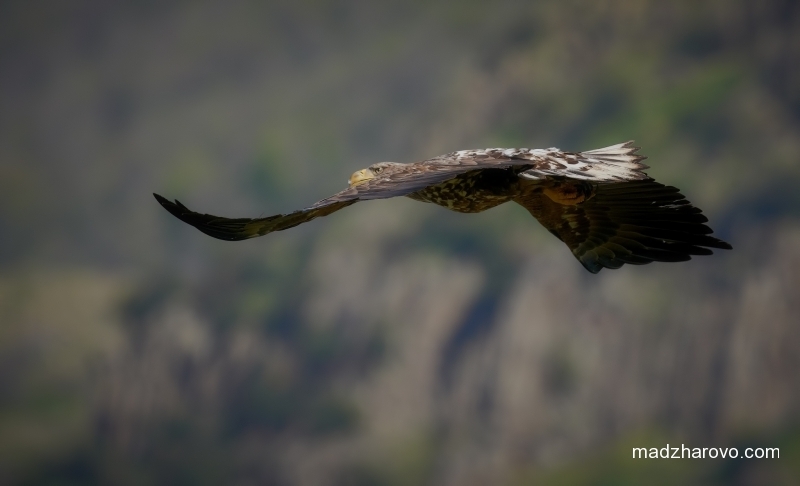 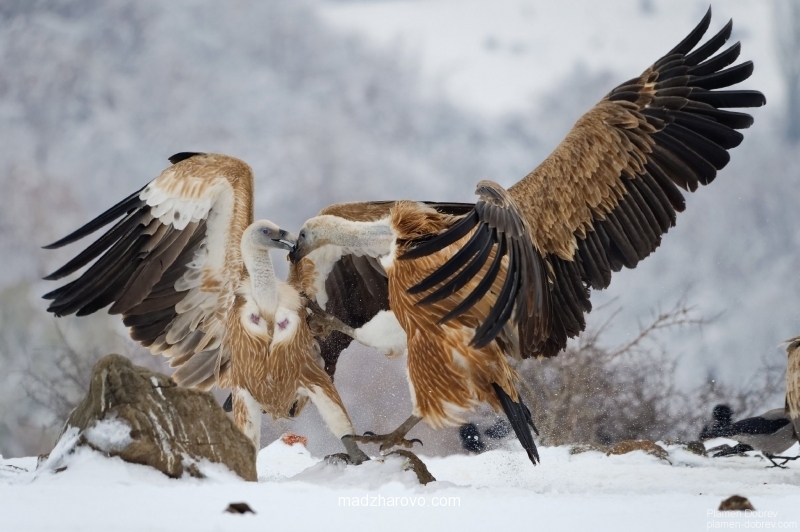 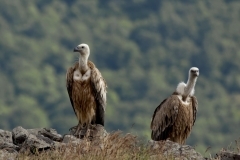 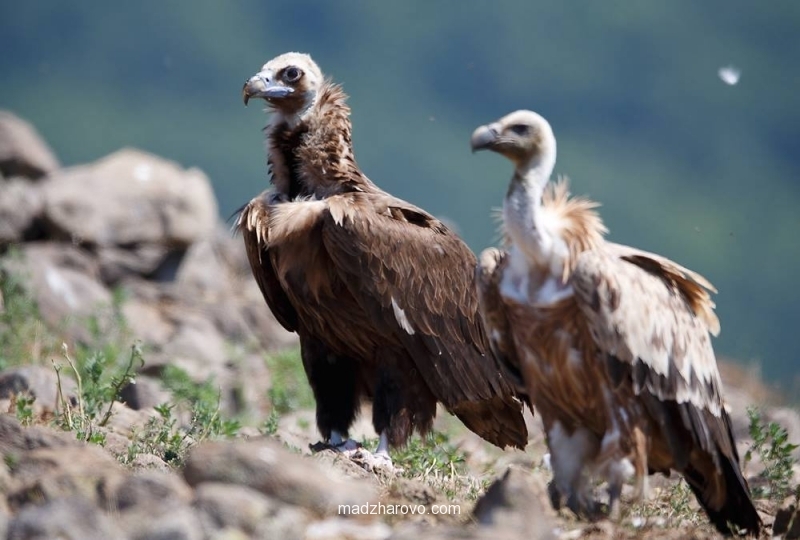 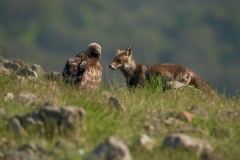 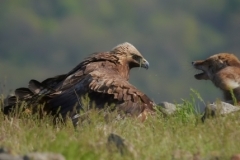 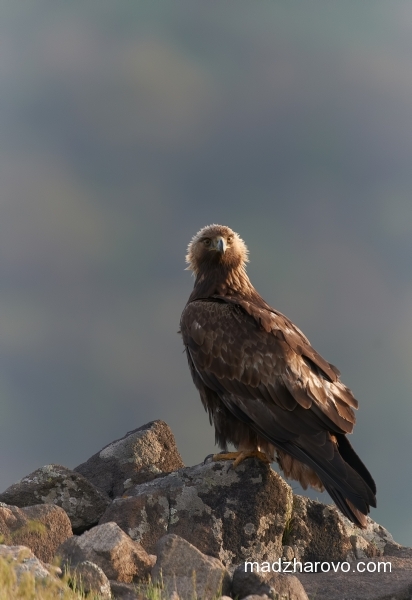 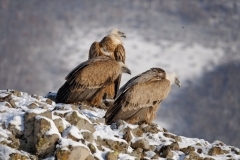 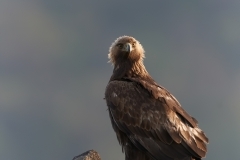 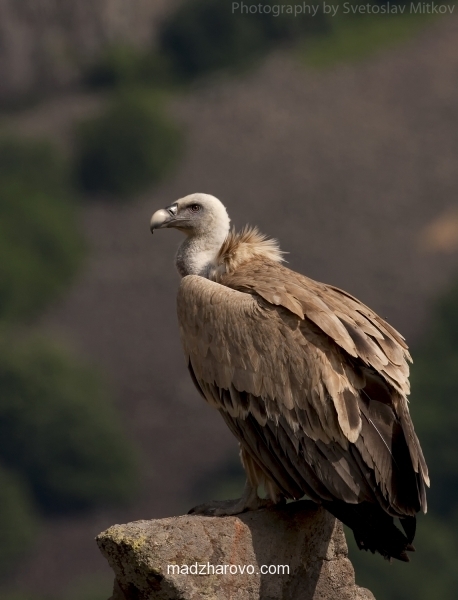 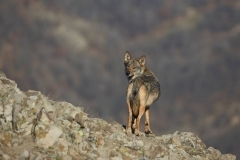 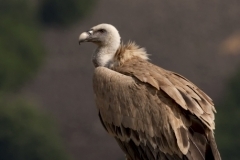 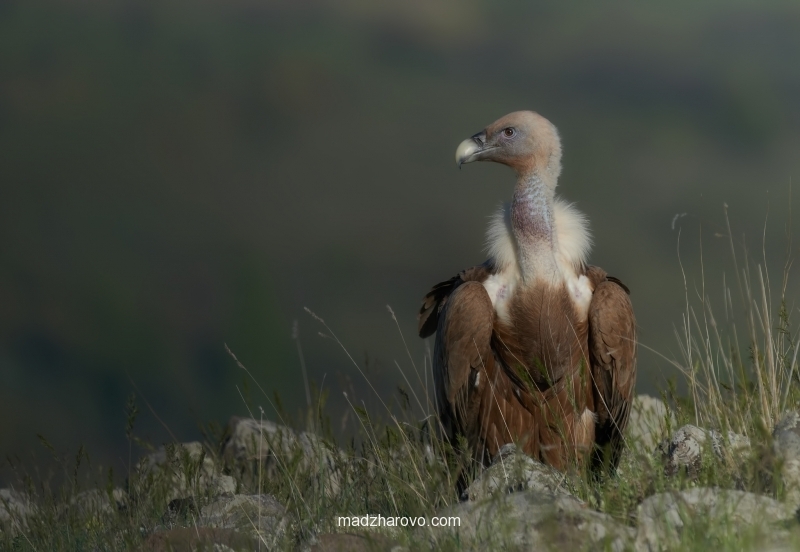 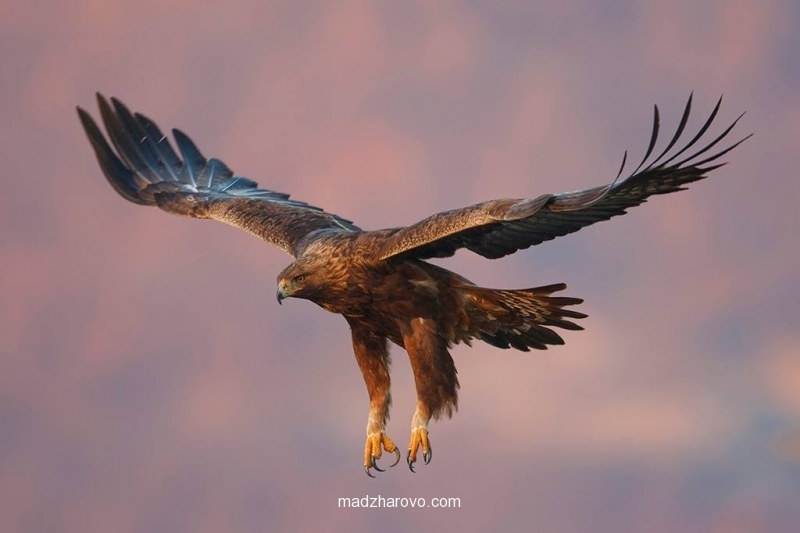 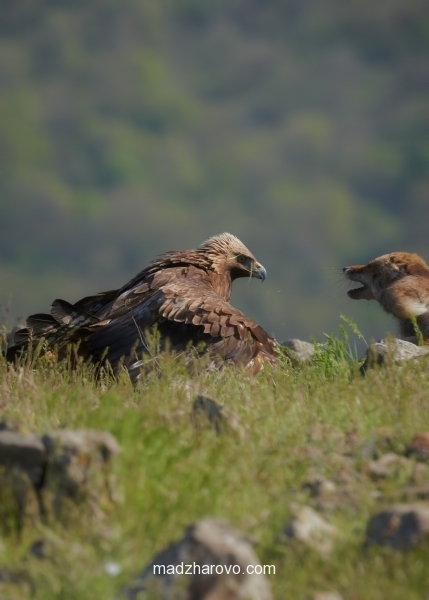 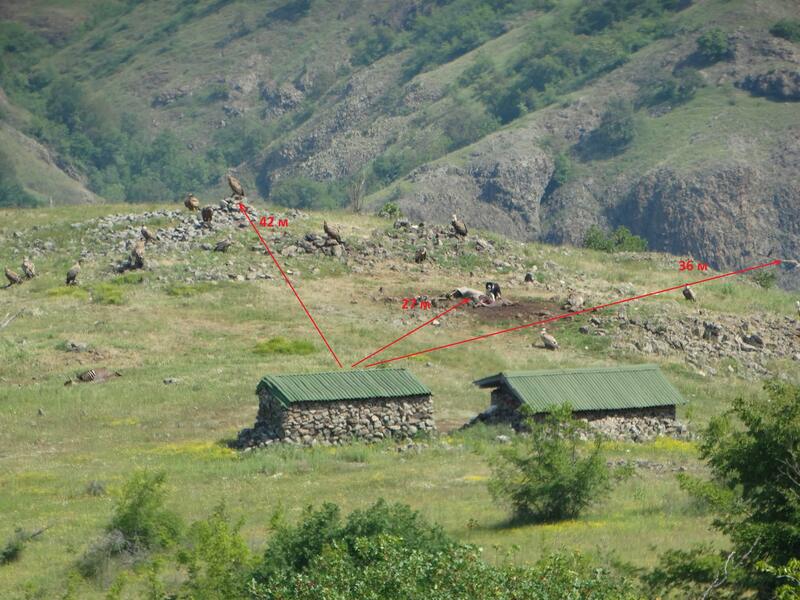 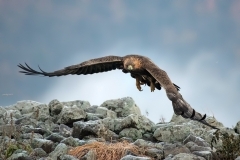 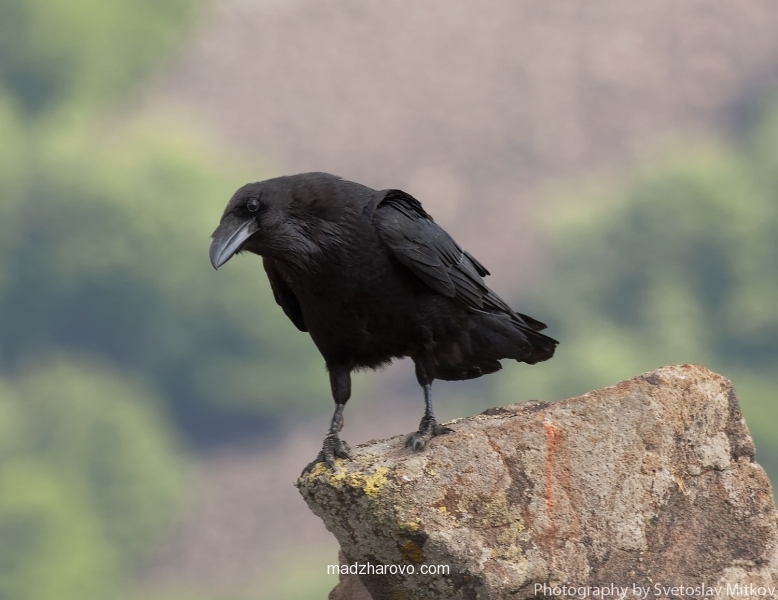 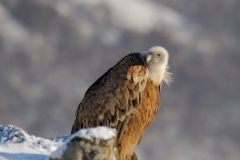 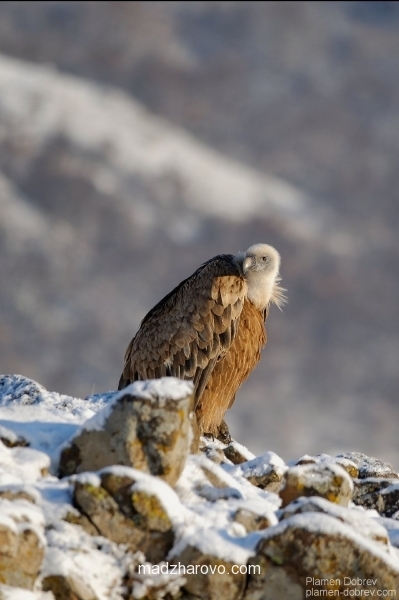 Take pictures of eagles, vultures and wolves from one of the most successful hides in Bulgaria. 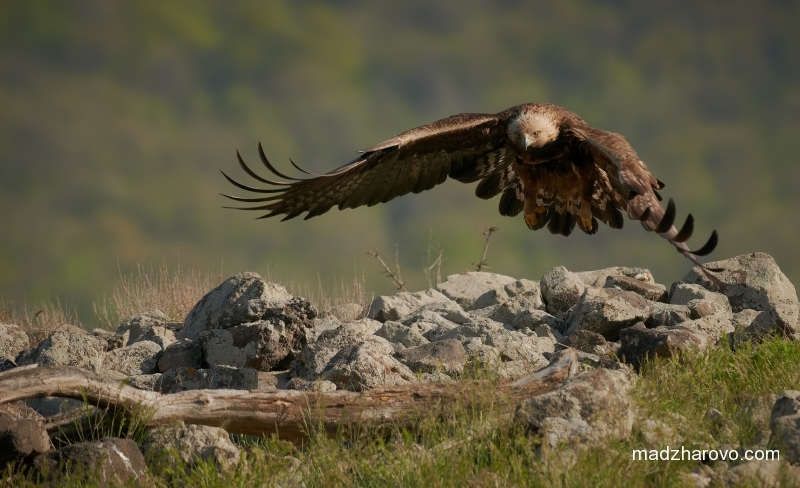 This photography hide is one of the most successful and busy ones in Bulgaria for taking photos of birds of prey. 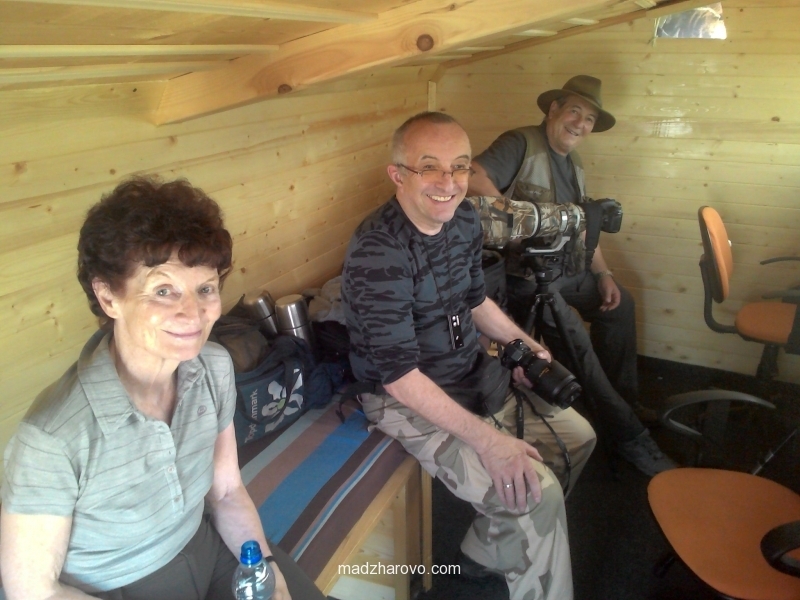 It fits confortably four people to shoot at the same time from four viewing holes. 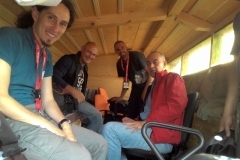 There is another hide next to it, which can fit three more photographers. 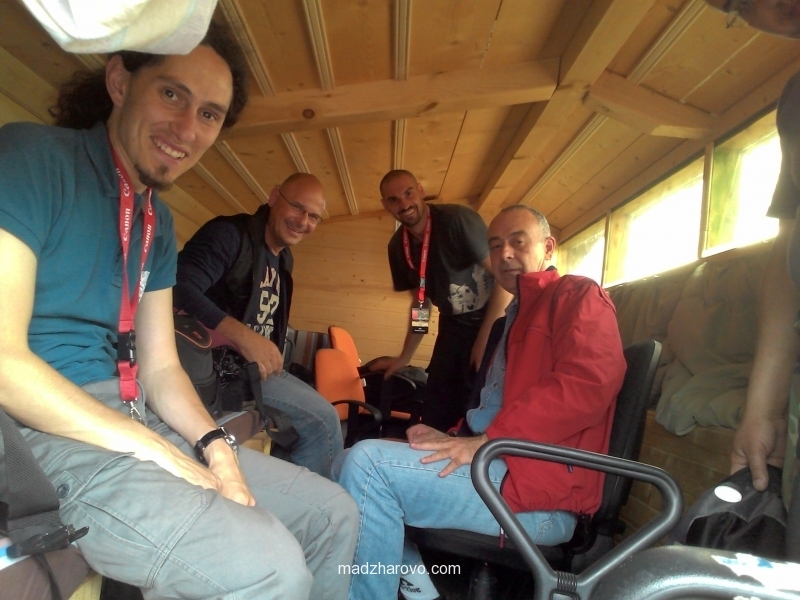 The price is 200 BGN + 50 BGN per day per person. 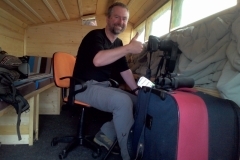 There is a portable toilet and two bunk beds. 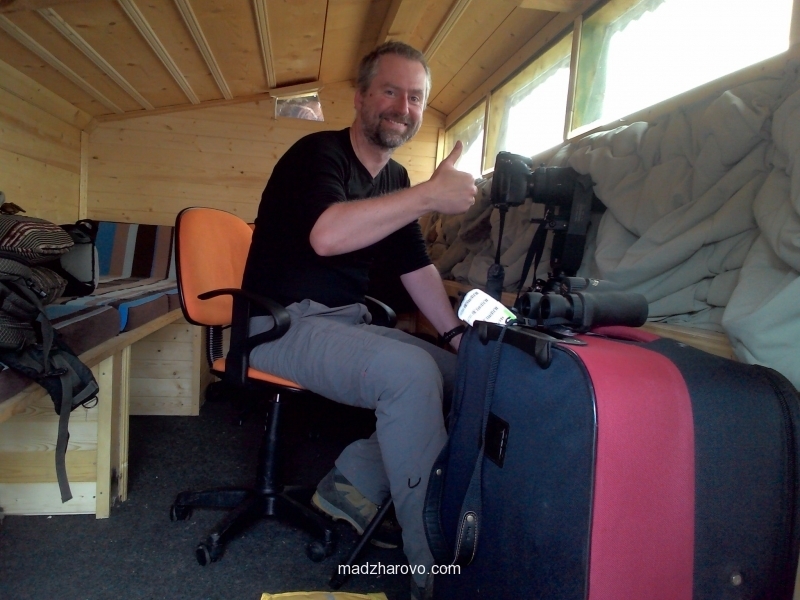 The hide relatively comfortably allows for sleeping of two people in it during all seasons. 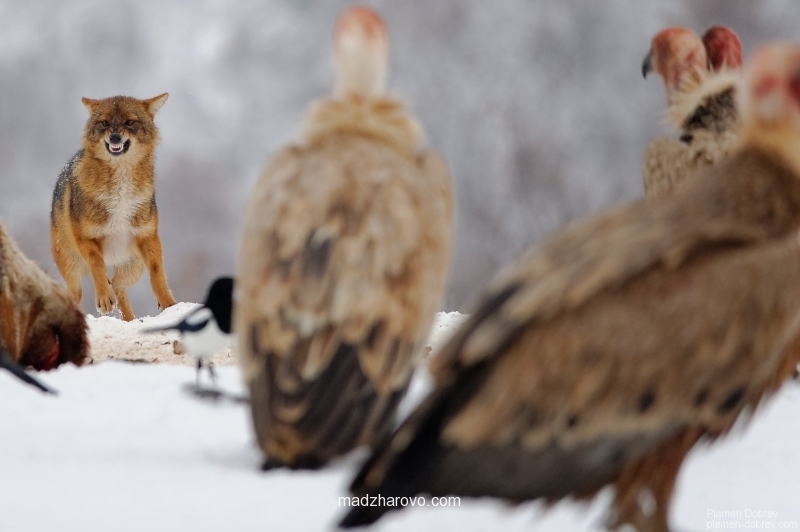 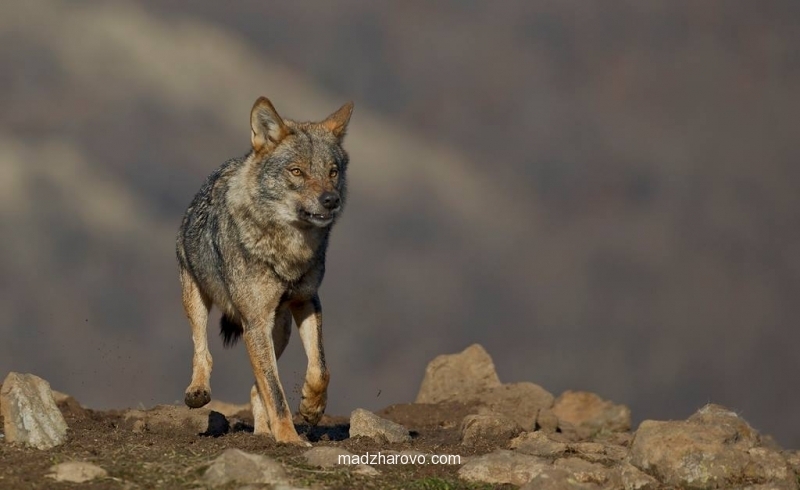 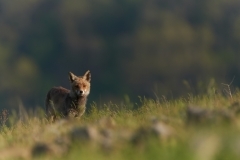 During winter a gas heater can be used to keep the hide warm. 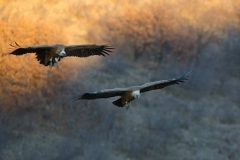 The hide is entered obligatory early in the morning (before dawn) and have to leave it after sunset. 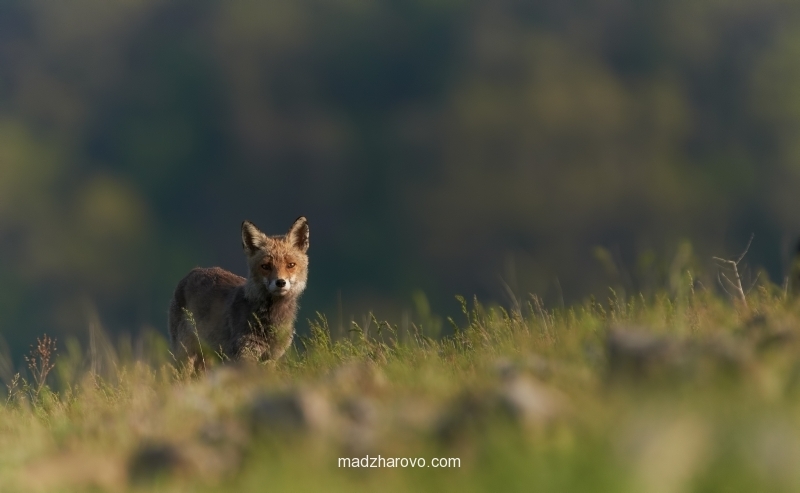 In summer, it is possible to leave the hide earlier. 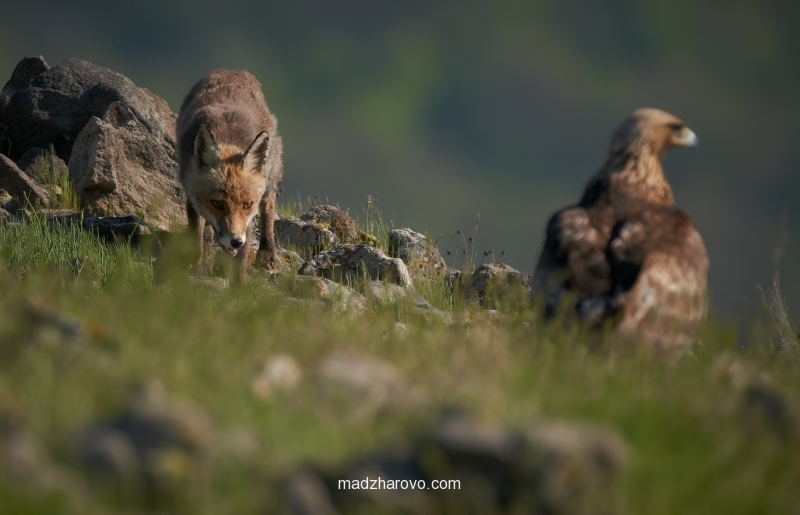 It takes about 30 minutes to get to the hide from the town of Madzharovo via an off-road vehicle (included in the price). 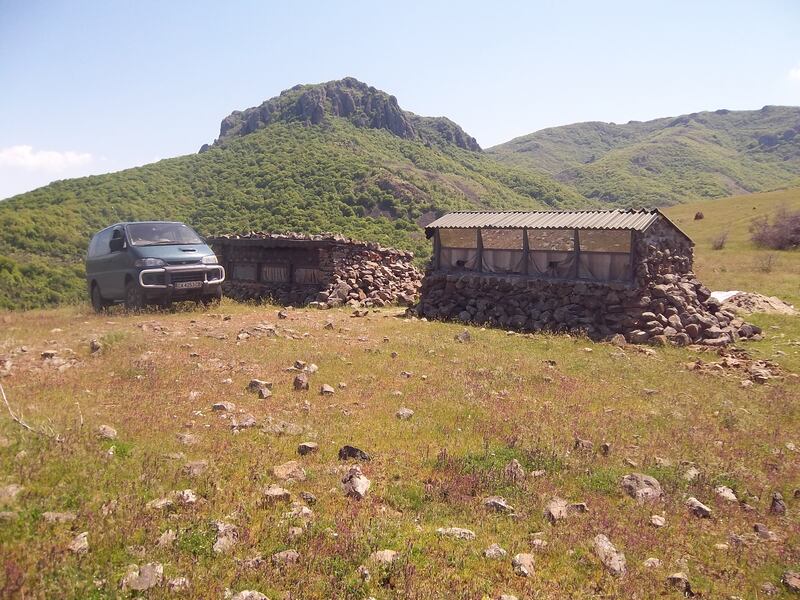 The hide orientation is to the North and is between 27 and 41 meters distance from where the birds typically land. 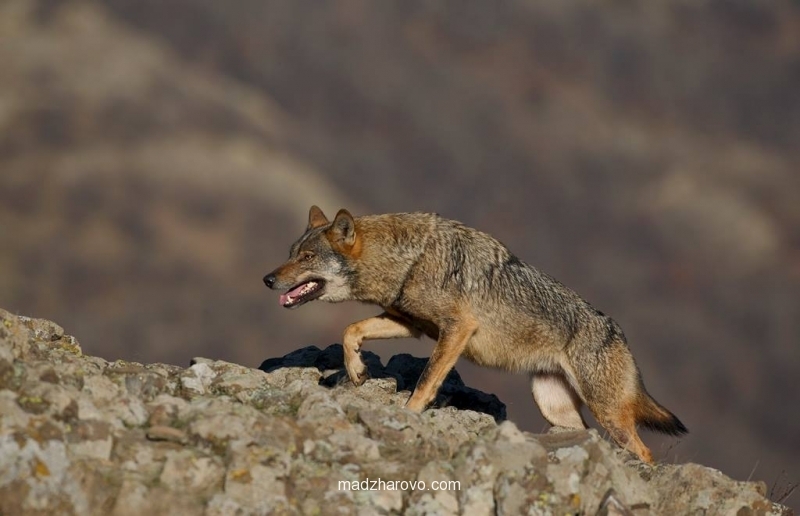 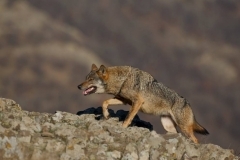 The best lense focal length to use is 300-800 mm with the closest background being at least a kilometer away. 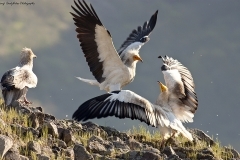 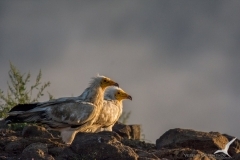 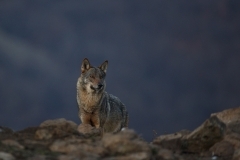 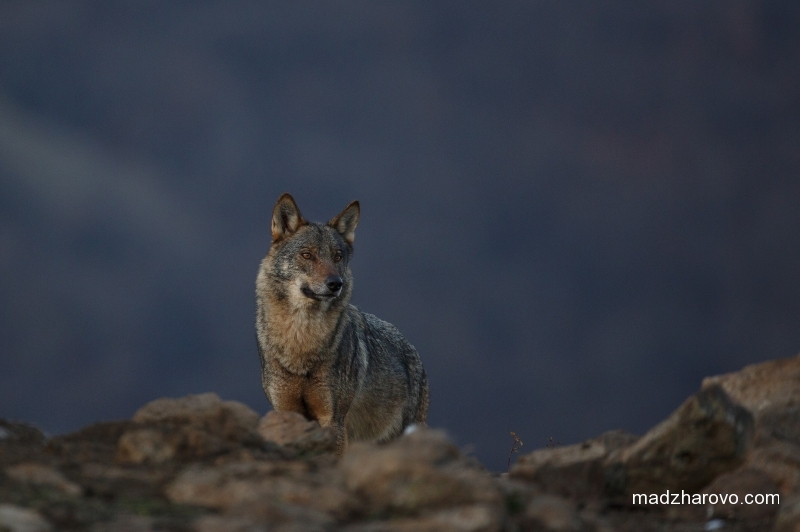 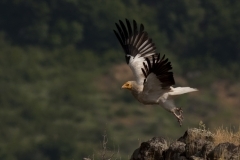 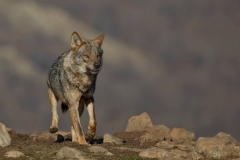 The species that can be photographed are: Egyptian Vulture, Griffon Vulture, Black Kite, Raven, Fox, Jackal, Golden Eagle, White-tailed Eagle.